2011 Canadian Church Calendars are available in the Narthex. Cost is $6. Cathedral Christmas cards are available in the Narthex. Cost is $10 for 12 cards and envelopes. is now laden with your donations of new mitts, gloves, scarves, hats, and toques for children who need them! The fruit of the Charlie Brown Tree will be delivered to one of the North End Schools on Thursday December 16th. The Transition Team asks that the congregation set aside 3 Sunday afternoons, after church, for congregational gatherings. Please mark February 6, February 20, and March 13 on your calendar! More information will be available within the next few weeks. Please continue to hold the Transition Team members – Terry Barber, Maureen Dolyniuk, Marlene Janzen, Peter Spencer, and Patricia Stagg – and the Cathedral leadership in your prayers. at the centre of our lives. In doing so, we are able to take on the daily challenges of life with confidence and hope. Walter Brueggemann, Mary Gordon, Teresa Okure, and Gerald O. West. Register by calling the Cathedral Office at 586-8385. For more information, see our events page. sheet on the table at the back of the Cathedral. 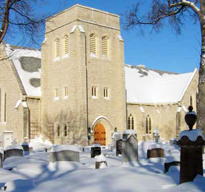 Cathedral members are reminded that an email Prayer circle operates from the Cathedral. If you live in Winnipeg and are wanting the Prayer Circle to pray for you, send a request. If you would like to learn more about this Prayer circle, please see Ray Bailey. This entry was posted in Cathedral Chronicle, News and tagged Bulletin. Bookmark the permalink.